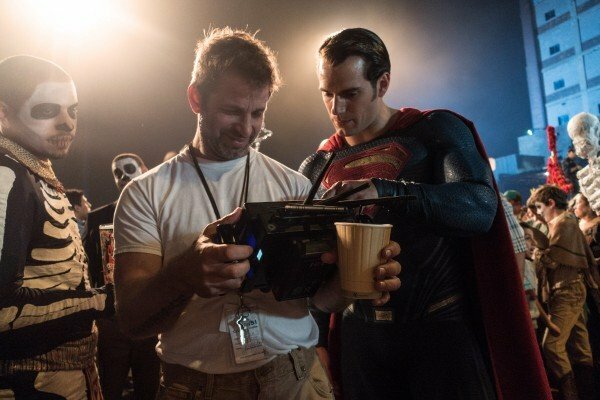 Long before Zack Snyder and the Warner Bros. team turned their attention to a certain Bruce Wayne and, in particular, Frank Miller’s legendary Dark Knight Returns in preparation for Batman V Superman: Dawn of Justice, it looked set that both parties would push ahead with Man of Steel 2. Alas, the sequel to Snyder’s divisive 2013 blockbuster eventually evolved into the juggernaut we know as Dawn of Justice today. Despite this, though, Snyder and Henry Cavill have refused to rule out the possibility of returning for a new Superman solo movie further down the line. Word comes by way of IGN, where the creative pair acknowledged that the chances of a potential Man of Steel 2 earning the green light would hinge on the success of Dawn of Justice – which didn’t fare particularly well during its second weekend. Even still, Snyder began by stressing the important of nailing a good script before anything official is announced. Bouncing off this, the Man of Steel himself hoped that Warner Bros. would be able to squeeze a solo Supes film into the jam-packed DCEU slate. The Man of Steel isn’t the only candidate for a new solo movie in the wake of Batman V Superman: Dawn of Justice, after Ben Affleck revealed that he’s in possession of a finished script for his standalone Batman movie, one which he will seemingly direct and star in. But will Snyder and Cavill get another crack at the Last Son of Krypton at some point in the future? Time will tell.